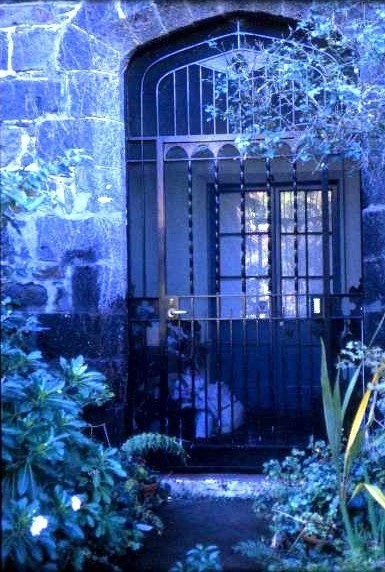 The Hawthorns, initially known as The Falls, was built in 1845 for James Pinnock. 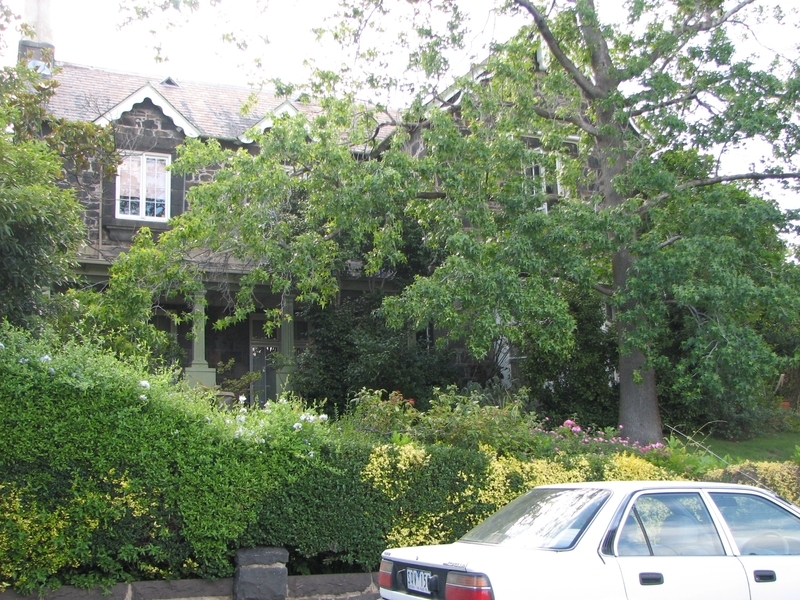 In 1852 the property was subdivided and the house was purchased by Henry Creswick, MLA for Emerald Hill in 1863, who renamed it The Hawthorns. 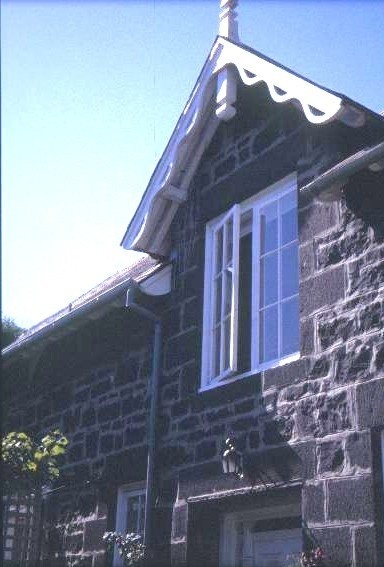 The bluestone house is built in the Gothic Revival style using blackwood and boxwood in the roof frame, cast iron spouting and lead flashings, and retainsdecorative bargboards. 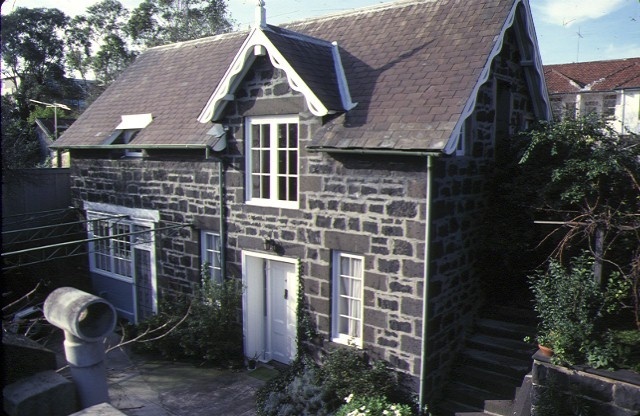 The Hawthorns is historically important through its association with Victoria's settlement and suburban development. It is also historically important in demonstrating the values associated with mid-nineteenth century concepts of residential retreat from the city, which became the suburban ideal. 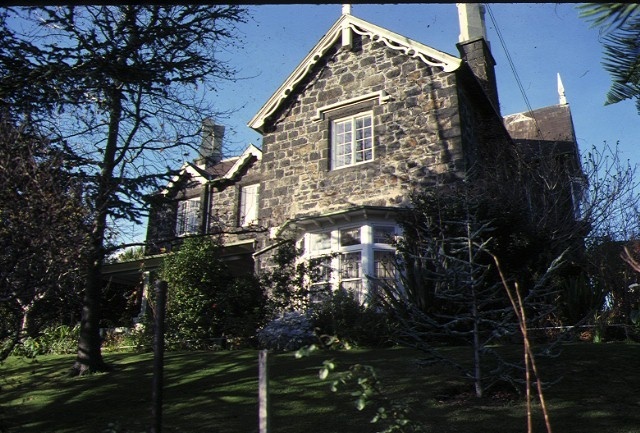 The Hawthorns is important in exhibiting good design and aesthetic characteristics of the Gothic Revival style. 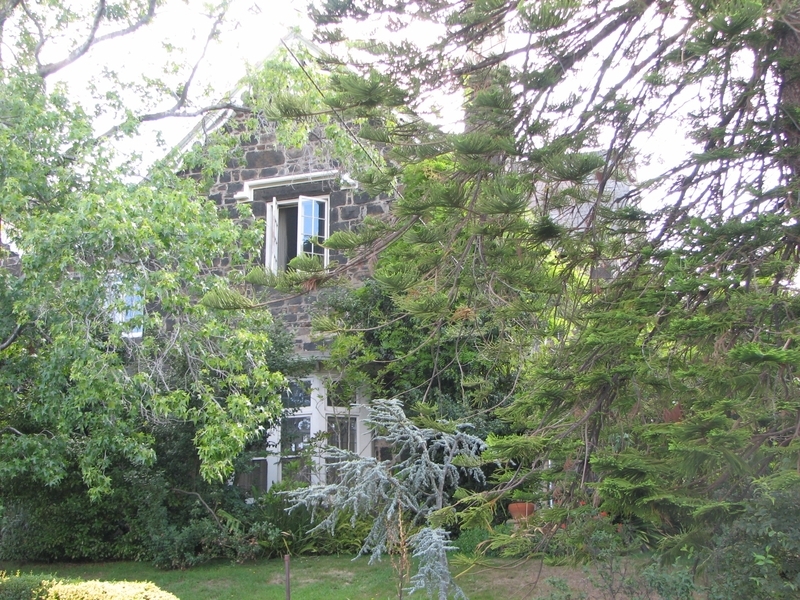 The house is also important for representing the characteristics of mid-nineteenth century domestic building material. 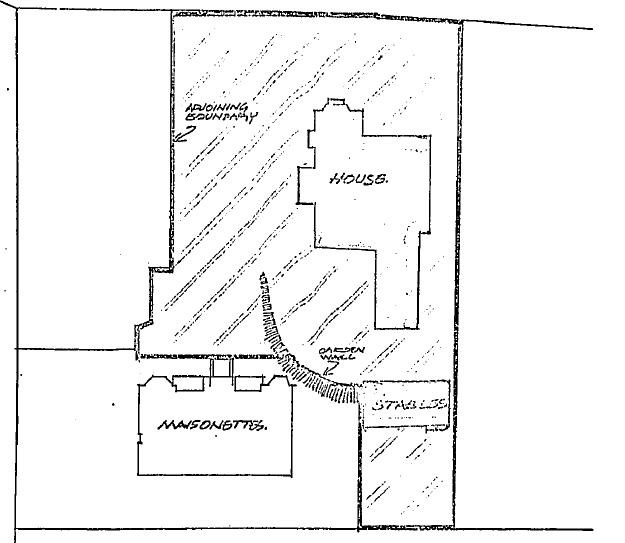 "The Hawthorns", 5 Creswick Street, Hawthorn, (to the extent of the house, stables, front garden and part of wall, but excluding maisonettes as per attached plan held in the office of the Ministry for Planning.